Price: €3,300.00 VAT included. Shipping not included. The Clareen Elite Tenor Banjo is a top quality hand-crafted instrument. The fingerboard of ebony is highly decorated with beautifully designed Mother of Pearl inlay patterns. The tension band and arm rest are engraved. All metal parts nickel plated except the tone ring. Gig Bag or Case Sold Seperately. Maple. Clareen Arch Top Tone Ring. Clareen Notched Tension Band. Clareen Elite Flange. Decorative Binding. Tensionator Tailpiece. Highest Grade Birds Eye Maple with Ivoriod Binding. Standard Scale 19 fret. 23 inches/585mm. Short Scale 17 fret. 21 inches/525mm. Standard Neck Width at Nut - 30mm + or - . Clareen Banjos manufactures it's own Tone Rings and Tension Bands. All other Metalware is manufactured in Ireland where possible. The neck is fitted with two non adjustable Carbon Fibre Truss Rods for added strength. The Elite is available in Tenor and 5-String. Open-Back option also available. All metal parts are of brass which have been nickel plated. The hooks are of mild steel which is also nickel plated. Suitable for all tuning styles. This instrument is also available gold-plated at an additional cost. My thanks to Tom for changing the neck on my Clareen Elite to short scale, and for giving me the best advise and cheapest options, a good business man and a nice person. Again many thanks,and will recommend and deal with you in the future. Got my Elite Custom on Tuesday 29th August 2017 and haven't been able to put it down. Great sound, great looking. My thanks to Fintan, who gave me a great deal and offered good service and guarantee . 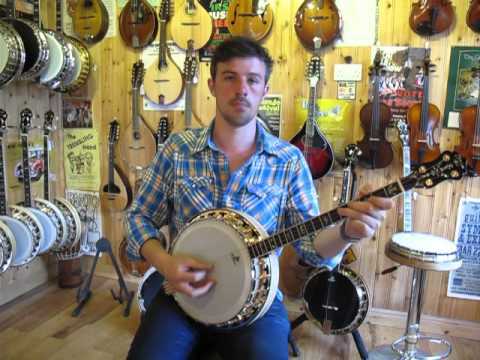 Many thanks Fintan for your help, I would recommend Clareen Banjos to any I come in contact with. Cheers. Eamonn Loughran. Got my Elite back in September 2013 and it has since brought me everything i imagined it would in the quality and style of tone it produces! Very well made, looks fantastic and is a pleasure to be able to play! So, Cheers! to Tom & Fintan! 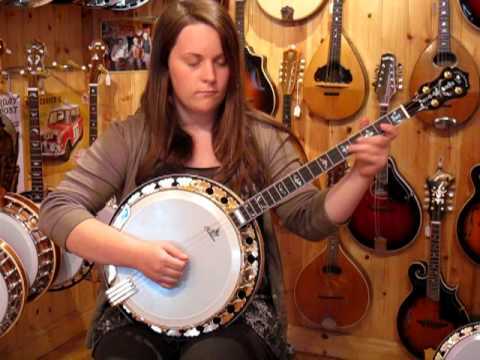 A superb banjo, great tone, great action. Has served me extremely well over the last four years. Would highly recommend this banjo. Will last a life time if looked after.